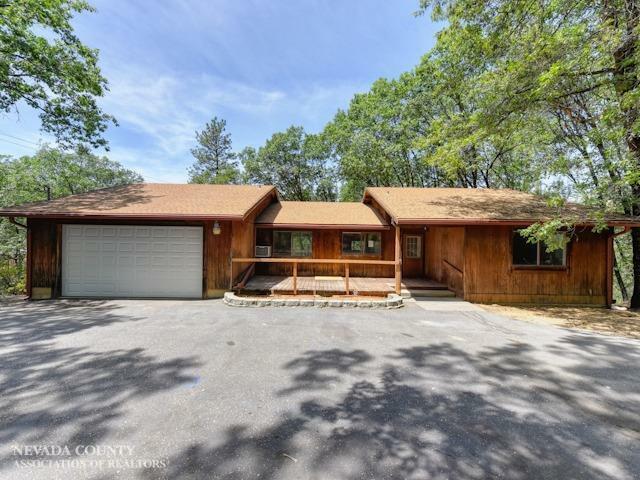 Amazing opportunity to own a cabin within walking distance to Bear River access!Situated on 1.3 acres this home offers stunning views from the expansive deck. Open floor plan with wood burning fireplace/stove. Formal living room with built in cabinetry and deck access. 2 car attached garage plus a two car detached garage ! Close to Skiing for summer and winter and outfitted with a walk in soaking tub to end the day in style ! HUD Home sold as is.